When the Palms opened in 2001 it was a game changer for the Vegas resort landscape, off the Strip but still packed with A-list Hollywood, pro athlete and celebrity appeal. The casino hotel was invention of the Maloof family, who have owned two NBA teams, the Houston Rockets and Sacramento Kings, and are now minority owners of the NHL’s red-hot Las Vegas Golden Knights. 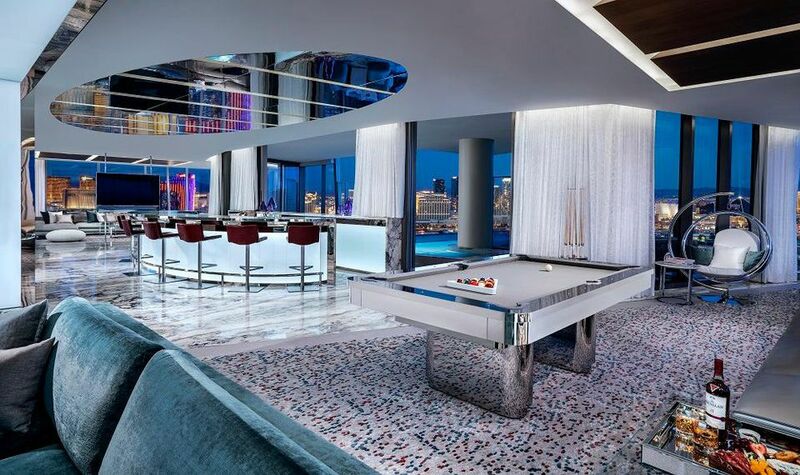 They focused on what they knew, hip marketing and celebrities, and the Palms Casino Resortquickly became an instant hot spot for the younger club crowd. In its first full year of operation it hosted a season of MTV’s Real World, and quickly became known for its lavish fantasy suites, including the only hotel room in the country with its own private basketball court.